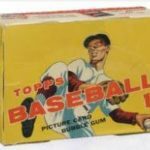 Sports Then and Now | Will Bud Selig Ever Go Away? Will Bud Selig Ever Go Away? It appears that the prayers of baseball fans will not be answered as Bud Selig is sticking around for at least another three years. Like a veteran player who doesn’t know when to hang up his jersey, looks like Major League Baseball Commissioner Bud Selig is determined to stick around as long as possible. Though it was originally announced that 2012 would be his final season as commissioner, Selig has now changed his mind and will remain in his role until at least the end of the 2014 season. Shockingly (or maybe not), major league owners voted 29-1 to extend Selig’s contract for two additional years to ensure that Selig will be commissioner at least past his 80th birthday at a reported salary of $22 million per year. Given his hubris, it seems very likely that Selig will do everything he can to remain in control of the league at least through the 2016 season as that would ensure he passes Kenesaw “Mountain” Landis for the longest tenure as commissioner in league history. What seems strange is that while ownership considers Selig to be a great commissioner, many outside the owner’s boxes look as Selig as the epitome of all things bad about baseball. While football had already started to eclipse baseball as “America’s Pastime” when Selig took over as interim commissioner in 1992, he seemingly has spent the last 20 years doing everything he can to ensure that baseball never gets close to retaking that title. At the time, Selig was the owner of the Milwaukee Brewers and like the other owners in the game had tired of a commissioner whose focus was on the integrity of the sport, rather than supporting the owners and their desires. When the owners fired Commissioner Fay Vincent, they installed Selig on an interim basis and within two years he was spearheading a battle with the players union that would eventually ensure that the World Series would be missed for the first time in 90 years. While both sides can certainly take some of the blame for missing the World Series and the subsequent agreement that ensured that teams willing to over-spend would have a significant advantage over other teams moving forward, the fact that Selig was running the show for the owners makes him culpable for that disaster. Between 1950 and 1994, only four teams (two of which were expansion squads) registered 10 or more consecutive losing seasons (1953-1962 Chicago Cubs, 1953-1967 Kansas City Athletics, 1969-78 Montreal Expos and the 1977-1990 Seattle Mariners). Since 1994, five teams have reached that dubious plateau (1993-2011 Pittsburgh Pirates, 1993-2004 Milwaukee Brewers, 1994-2005 Detroit Tigers, 1998-2007 Tampa Bay Rays and the 1998-2011 Baltimore Orioles). In addition, the Kansas City Royals have been below .500 in 16 of 17 seasons (2003 being their only exception), the Cincinnati Reds have been below .500 in 10 of the last 11 seasons (2010 being their only winning season when they won the NL Central) and the Colorado Rockies have had a losing record in 10 of the last 13 seasons. 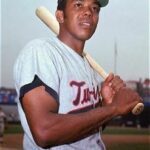 Yes, there have been small market teams like the Minnesota Twins and Oakland A’s that have enjoyed occasional success, but the A’s have not had a winning record since 2006 and the Twins lost 99 games last season to illustrate that even small market teams that are able to build winning programs do not have the same ability to reload that is afforded to teams with greater revenue streams. While destroying competitive balance is a lasting part of Selig’s legacy, perhaps even higher on the list of things he has destroyed is the integrity of statistics within the game. One of the magical things about baseball was its special numbers. Things like 500 home runs, 3,000 hits, 300 wins and 61 home runs in a season were magical numbers that made it possible to compare players from different eras when trying to determine the best players of all-time. Perhaps not by pure coincidence, the year in which Selig took over as Commissioner and baseball no longer had someone outside of the ownership box watching out for the integrity of the game, the “steroid era” began in earnest. If it had not been for the strike in 1994, it is very likely that the single season home run record that eventually was eclipsed in 1998 would have been passed in that season. In 1992, only three National League and seven American League players hit 30 or more home runs for the entire 162 game season. When baseball went on strike after 114 games in 1994, there were already six National League and three American League players with 30 or more home runs and Matt Williams led the majors with 43 homers. 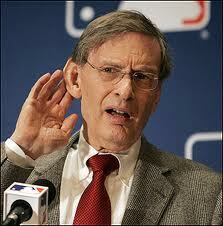 Unless you have a big check book, you can guarantee that Bud Selig can't hear you. Over the next decade, home runs would be hit at a record pace while Major League Baseball did everything they could to promote the long ball and very little to investigate increasing allegations that performance enhancing drugs were overtaking the sport. Though there were newspaper stories and reports as early as 1994 pointing to PEDs as a cause for the increase in offensive production in the game, Selig repeatedly downplayed the issue and refused to take action. It wasn’t until 2004 that the league instituted any testing standards or penalties for using PEDs. With offensive production now back in line with the pre-steroid era, we are getting a full sense of how prominent PEDs were across baseball and how damaging they were to the integrity of the game. Great Commissioners are pro-active, rather than reactive, but unless the issue specifically increases revenue for the league Selig has never been willing to take a stand until he absolutely has to. Perhaps the one thing that Selig has done right during his tenure was realigning divisions and adding a Wild Card playoff team to increase excitement around the playoffs. 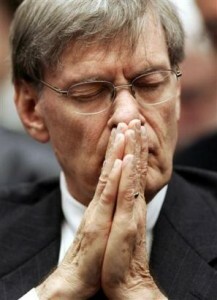 However, in typical Selig fashion, he is now leading the charge to ruin the one good thing he has done. Selig is pushing to add an additional playoff team, but then rather than have the two Wild Card teams play a meaningful series is considering having the two Wild Card teams play a one-game playoff. Ironically, that is basically what happened without any intervention from the league office last season, as both Wild Card slots came down to the final night of the season and resulted in one of the most exciting regular season nights in baseball history. 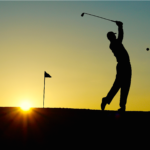 The introduction of inter-league play was met with initial excitement, but after more than a decade it has now become more of a shoulder shrug than anything else. Most fans seem to still enjoy some of the marquee inter-league matchups (Yankees-Mets, Cubs-White Sox), but aren’t clamoring for matchups like the Mariners against the Marlins or Pirates against the Royals. However, in another example of his lack of understanding for what fans want, Selig has engineered in 2013 the move of the Houston Astros from the National League to the American League to now give each league 15 teams and therefore ensure that there will be at least one inter-league series happening at all times throughout the season. Another move that Selig initiated a decade ago that no one likes, but that seems likely to last as long as his time as commissioner, is linking home field advantage in the World Series with victory in the All Star Game. This was a knee-jerk reaction to the 2002 game played in his home stadium in Milwaukee when both teams ran out of pitchers and the game was called as a 7-7 tie after 11 innings. The bottom line is that baseball will always have a place in the American lexicon, but under Bud Selig has seen an erosion in popularity among young fans while also alienating many long-time fans with unnecessary decisions that were obviously made primarily for their financial ramifications rather than because they better the sport. 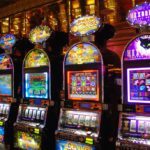 Given that the owners have continued to make increased revenue over the last two decades, it is doubtful that we will ever get back to having a commissioner whose first job is to protect the game, rather than the money. At least we know that we have at least three more years before there is any chance of that happening. Let’s just hope that by then Selig hasn’t ruined the game beyond repair.